Product prices and availability are accurate as of 2019-04-22 20:57:58 UTC and are subject to change. Any price and availability information displayed on http://www.amazon.co.uk/ at the time of purchase will apply to the purchase of this product. With so many drone products discounted right now, it is great to have a brand you can trust. The HankerMall FPV Camera RunCam Robin 700TVL 1.8mm Lens PAL/NTSC Switchable 1/3" CMOS 4:3 FOV 160 Degree Micro Mini FPV Camera for FPV Quadcopter Racing Drone Orange is certainly that and will be a perfect buy. 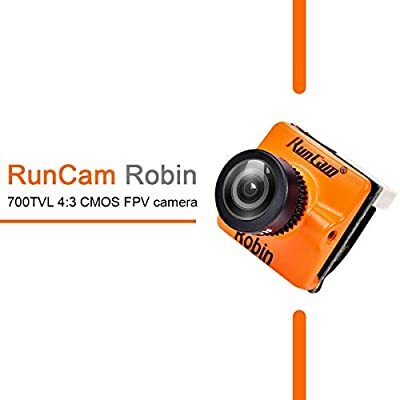 For this reduced price, the HankerMall FPV Camera RunCam Robin 700TVL 1.8mm Lens PAL/NTSC Switchable 1/3" CMOS 4:3 FOV 160 Degree Micro Mini FPV Camera for FPV Quadcopter Racing Drone Orange comes highly respected and is always a popular choice for many people who visit our site. HankerMall have included some innovation touches and this means good fair price. 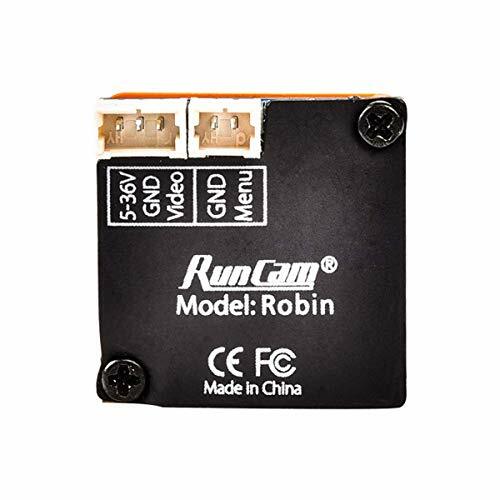 High Definition Display: This fpv camera is with 700TVL definition. 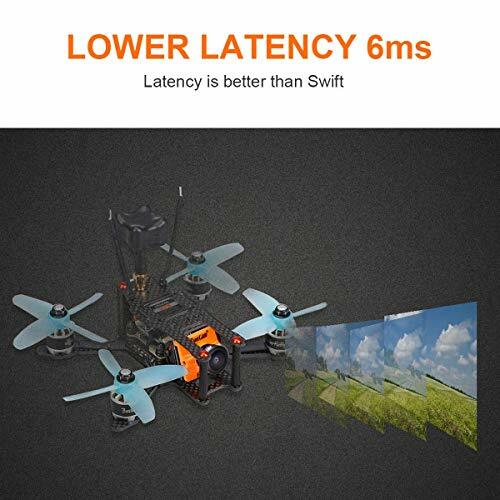 High quality video, low RF interference. It will give you good images during day and night. Small and Lightweight Design: Signal System NTSC/PAL Switchable on OSD menu,net weight 5.5g. 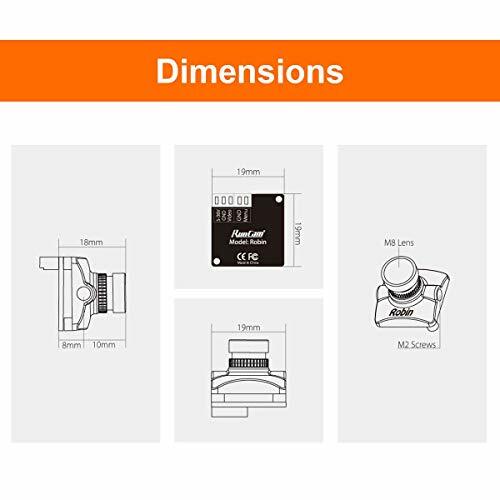 Image Sensor:1/3"120dB WDR CMOS. Size: 4:3. Power Input:5-36 VDC.Low Latency(Reduced to CCD Level)and Low Illumination. 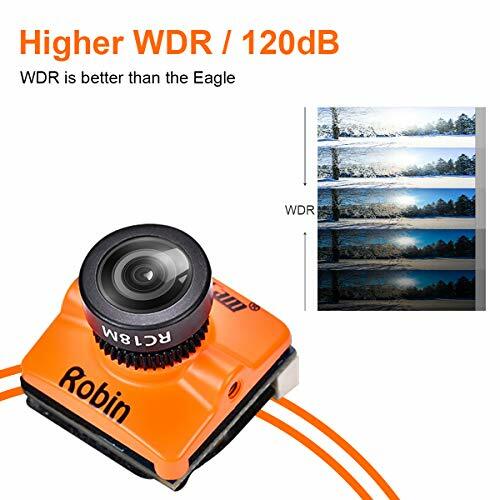 Wide Angle View: 1.8mm lens, FOV 160°beyond the wide angle for recording more wide and beautiful scenes Instructions: The default is NTSC system. 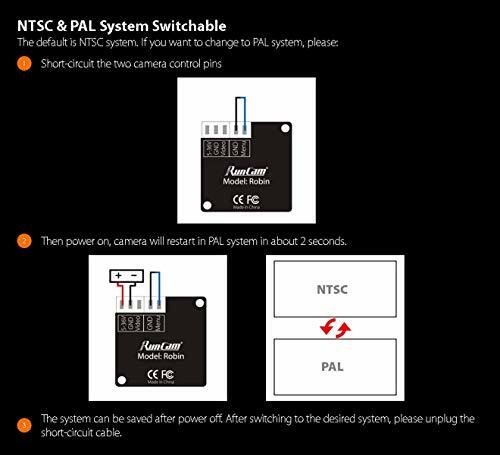 If you want to change to PAL system, please short-circuit the two camera control pins. Then power on, camera will restart in PAL system in about 2 seconds.Besides,The system can be saved after power off. After switching to the desired system, please unplug the short-circuit cable.